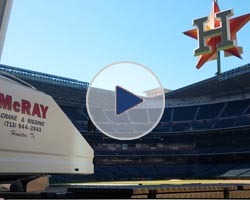 McRay Crane and Rigging owns and operates an extensive rental fleet of mobile truck cranes ranging in lifting capacity from 18 to 300 tons. We meticulously maintain our equipment to ensure the utmost in safety and reliability. Equally as important, we employ some of the most talented, highly skilled professionals in the crane and rigging industry. Every job is different and presents a unique set of challenges. We bring a "whatever it takes" attitude to every job site. Our experienced staff will help you find solutions to even the most complicated problems. We are here to help you every step of the way, from planning to completion. We Are Here 24/7/365 to Help You! 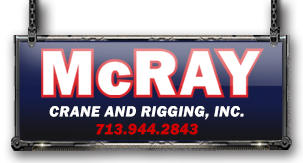 Whenever you need us, McRay Crane and Rigging is here to meet all of your heavy lift and transport needs. 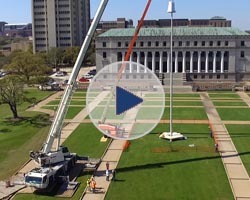 Whatever the size of your project, we have the equipment and experienced staff to help you complete any project on time and on budget. Copyright 2017 McRay Crane & Rigging, Inc All rights reserved.